Custom designed to fit the Blackstone 36 Griddle with shelves attached. Water and UV resistant. Sealed seams help prevent water penetration. Includes embroidered logo. 36-inch Griddle Cover Custom designed to fit the Blackstone 36 Griddle with shelves attached. Water and UV resistant. Sealed seams help prevent water penetration. Includes embroidered logo. 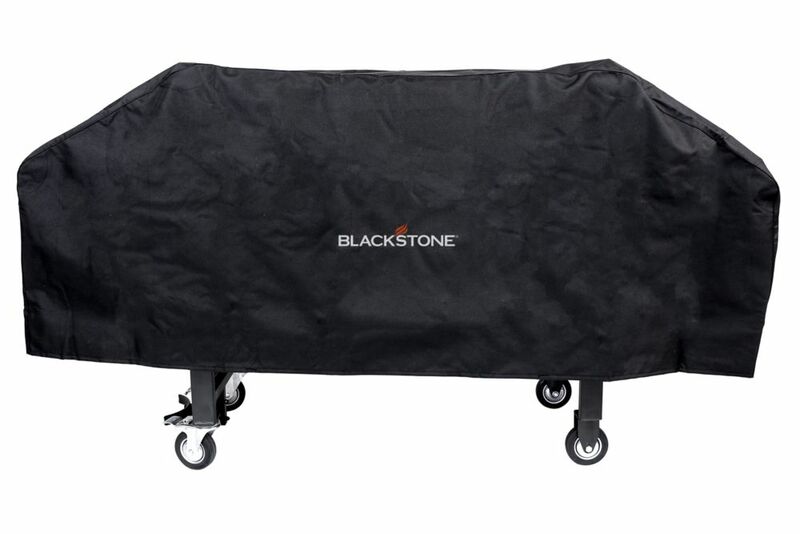 36-inch Griddle Cover is rated 4.7 out of 5 by 355. Rated 5 out of 5 by Rico from Heavy duty grill. Only draw back is the buckles are at the bottom under the grill. Heavy duty grill. Only draw back is the buckles are at the bottom under the grill. Rated 5 out of 5 by HomeDepotCustomer from The cover is very well made.... The cover is very well made. Rated 5 out of 5 by sam from Great cover, tuff material and nice straps to hold in... Great cover, tuff material and nice straps to hold in place.